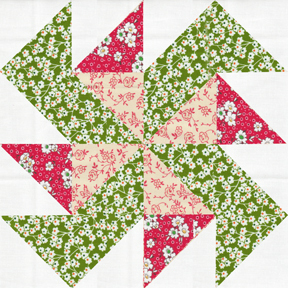 Jill Made It: I'm in a Quilt Block of the Month Club--Here's January's Block. I'm in a Quilt Block of the Month Club--Here's January's Block. First off, I have a question: What do you think of 30's style fabrics? They are bright and happy, but in my opinion, they're rather busy. And I don't really like busy. But when that busy 30's fabric becomes a $7 quilt top, I can handle the busyness. A little. I bring it up because a local quilt shop is doing a Block of the Month Club--$7 gets you the fabric and patterns for twelve different quilt blocks. So I'm doing it. I just couldn't turn down a $7 quilt. 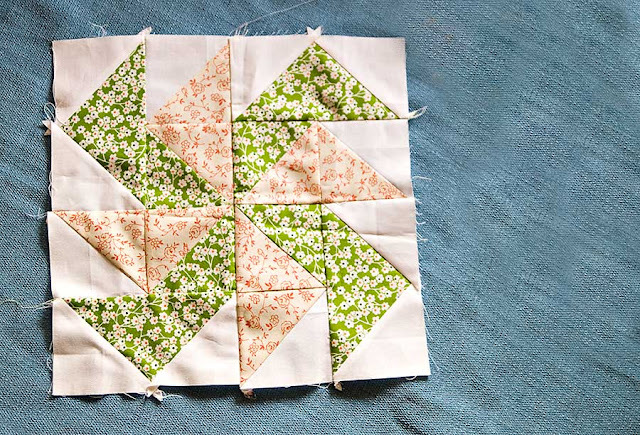 At the worst, I could give away the quilt, and use the patterns again with more my-asthetic fabrics. Let me just say, it is much harder to sew triangles than squares. Getting all those little points matched up... My quilts thus far have been pretty basic as far as piecing goes (usually just squares/rectangles), so this quilt block was a challenge. But that's good, right? Learn new skills? I hope I get better at it sooner than later, though, because January's block really wasn't much fun to sew. And unpick. And re-sew. Again. 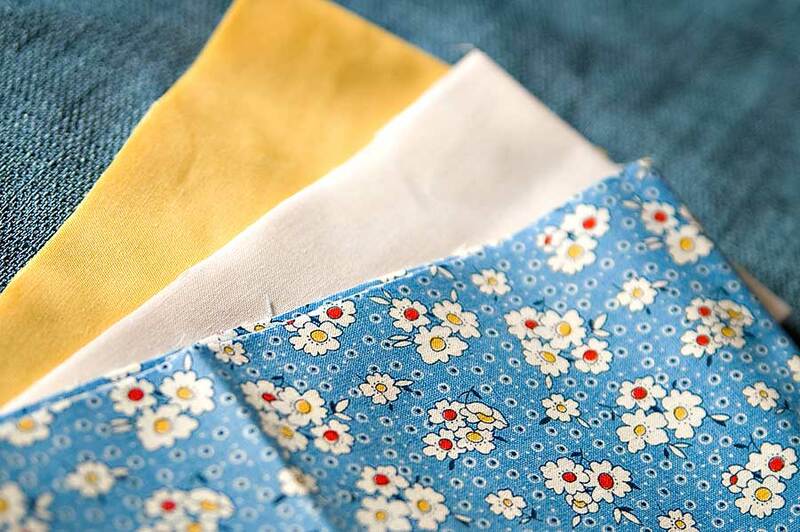 And here's the fabric for February's block, the LeMoyne Star (aka the Eastern Star, Lemon Star, Puritan Star, and Hanging Diamonds, so says my pattern). There's that same fabric design I didn't like from January's block, but I like it better with the main color being blue. Good thing, because I couldn't really take out a color when there are only three to start with.